Images courtesy Motorsports Auction Group. Insurance can be a tricky thing, especially where something of great emotional value, like a collector car, is concerned. Everyone has a gut opinion as to how things ought to work, in the interest of their own subjective determination of fairness. That’s why we have a legal system – to provide consistent and predictable results. It’s the closest society can get to fairness. In 1970, Robert Lanyon lived in Sausalito, California. 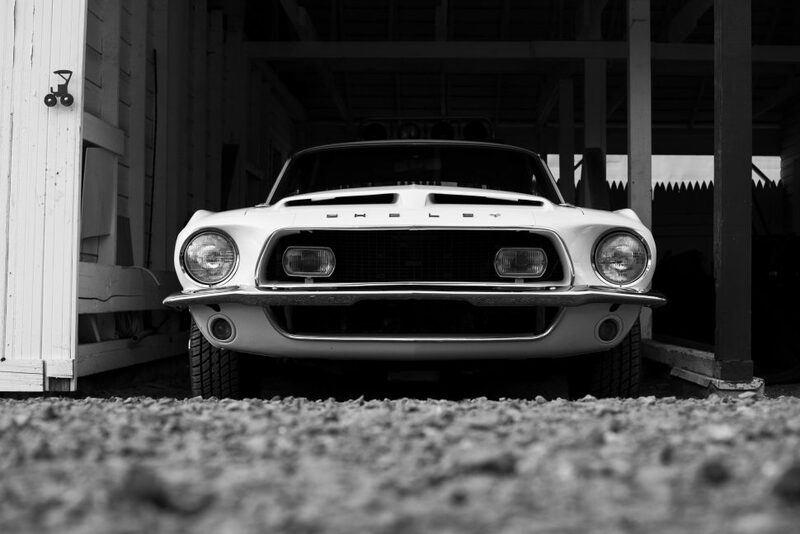 He awoke one February morning to discover his prized 1968 Shelby G.T. 500 missing. 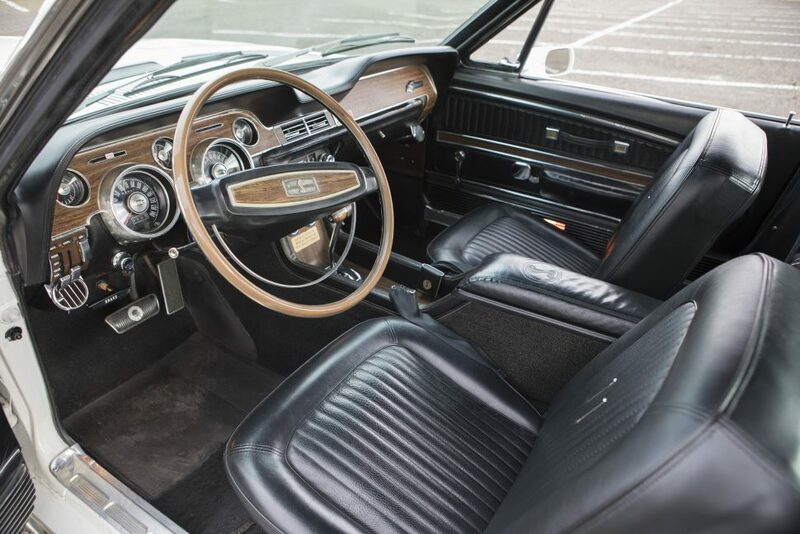 He called the police and his insurer to report the theft, and when the car wasn’t recovered, he accepted a settlement based on the value of the car according to Shelby American—somewhere between $3,000 and $5,000 (roughly $19,000 to $31,000 in today’s money). A few months later, in San Francisco, William L. Heinicke, paid $3,800 for a 1965 Mustang, which he owned for the next 40 years, until his death in 2010. It probably doesn’t spoil anything to say that this was, in fact, Lanyon’s stolen car with a different VIN plate. It’s also important to note that there are no facts—proven or alleged—to suggest that Heinicke purchased the Mustang in anything other than good faith and ignorance as to its origins. Now some may object at this point and say “a 1965 Mustang and a 1968 Mustang are CLEARLY different,” and to a car person that is undoubtedly true. But how many lay people do you suppose can tell the difference between a 2013 Mustang and a 2016? One person who can tell the difference between a ’65 and a ’68 is former San Mateo, California, Police Sergeant Timothy Sullivan. In 2011, before his retirement, Sullivan found himself in traffic behind the Shelby. Out of curiosity, he ran the license plate numbers and was surprised that what was clearly a ’68 Shelby came back as a ’65. Dutifully, he pulled the car over to investigate. At the wheel was Albert Heinecke, nephew of William, and heir apparent to his uncle’s Mustang. He explained that the car was new to him from his uncle’s estate. Sullivan determined that further investigation of the situation was required and the San Mateo Police Department impounded the Shelby. Using “techniques generally known only to trained auto theft investigators,” the department ascertained that it had recovered Lanyon’s Mustang. A law suit followed, pitting the administrator of the Heinecke estate against original owner Lanyon to determine ownership of the car. The estate claimed that as a good-faith purchaser of the car, Heinecke and his heirs were entitled to the Shelby. Lanyon countered that under California law, there was no good-faith exception to receipt of stolen property. The court’s conclusion? It did not disagree that Heinecke had something less than perfect title to the Shelby, but it said that was not Lanyon’s right to assert as he had already been fully compensated for the loss back in 1970. Instead it was the insurance company that could assert ownership of the Shelby against Heinecke and thus recover the car. Luckily for Heinecke, the insurance company could not be identified (it’s possible it is long out of business) and was not a party to the lawsuit. With adequate notice given to possible parties at interest in the insurance industry and no company responding, the court ruled that title was held legally by the estate. 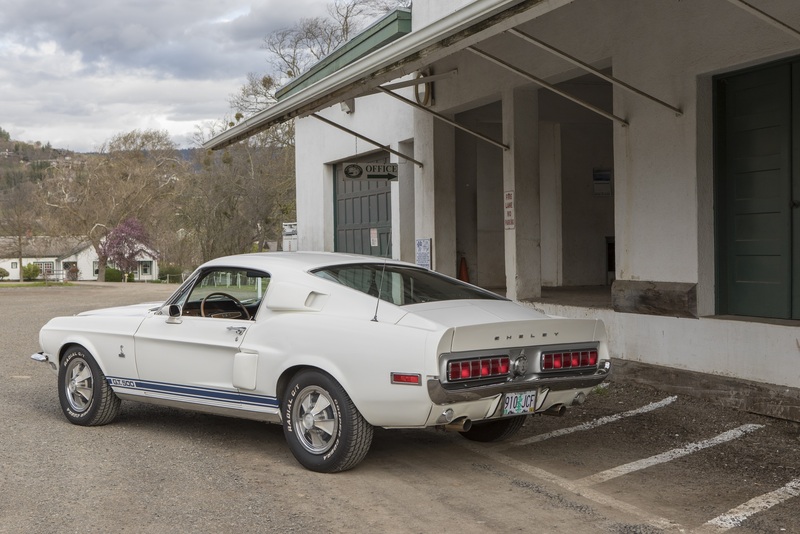 Nevertheless, the time and expense of the legal proceedings seem to have soured the Heinecke estate on owning the Shelby. 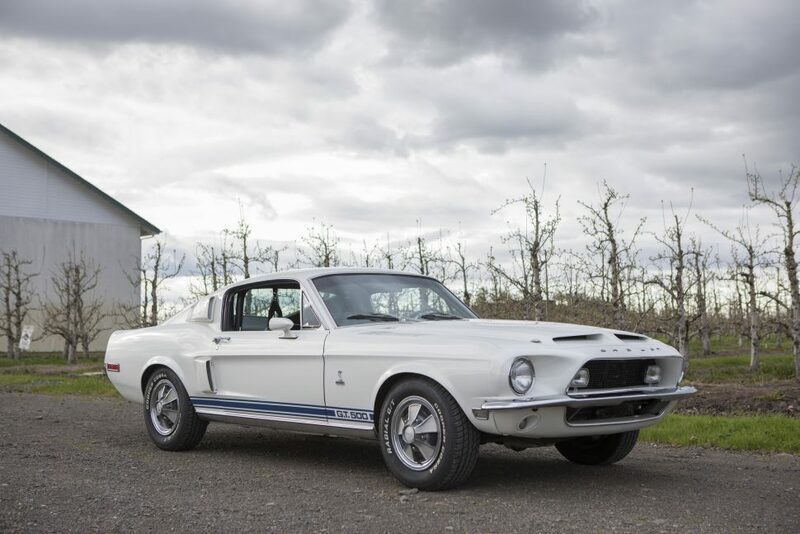 It’s also possible that the legal determination that what was viewed as a ’65 Mustang was in fact a ’68 Shelby so increased its value that selling was the only possible option. Whatever the case, the estate sold the car not long after the close of the case back in 2012 and now the car has come up for public auction. 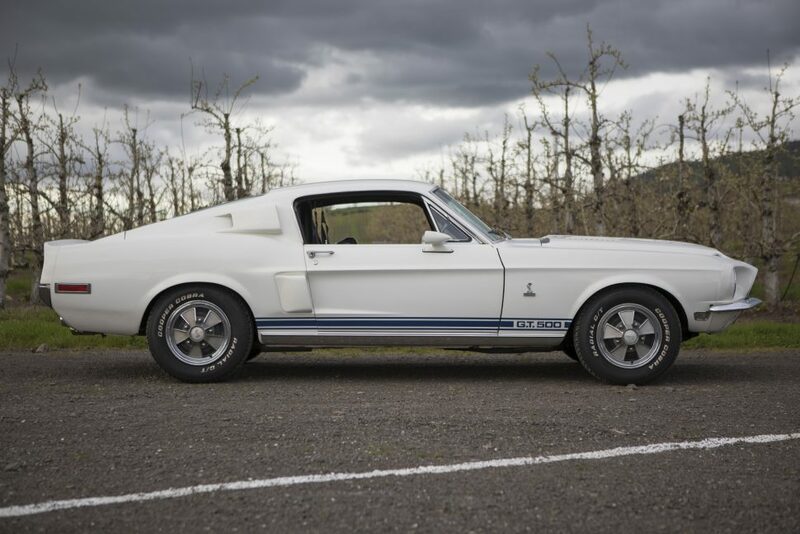 In August, at the Motorsport Auction Group’s Hot August Nights sale in Reno, Nevada, the long-missing Shelby, now with clear title, will be available to a new owner. In addition to the interesting story, the car comes with 61,635 miles on the clock, a 428 Police Interceptor engine, C6 transmission, and a 3.50:1 rear axle. Documentation, including not only the legal papers, but newspaper articles and two original build sheets, will go with the car. It will be interesting to see if the unique provenance of this Shelby helps boost the value beyond the $100,000 to $150,000 cited in the court filings.